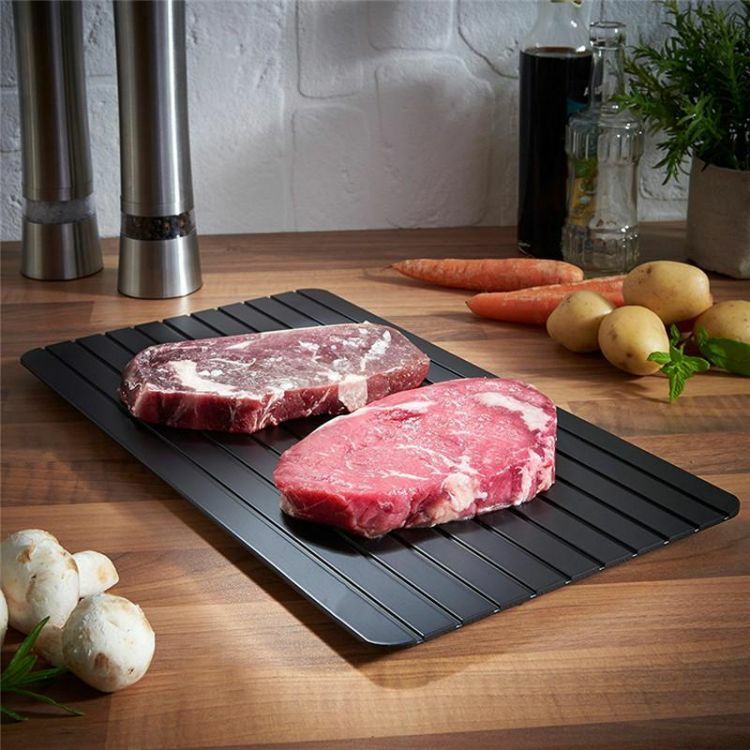 The GudiWare defrosting tray lets you thaw your frozen meat, or food quickly and naturally. You do not need to microwave your frozen meat to defrost, just place on the super defrosting tray and see the magic. This super defrosting tray is made out of high quality thermal conductive material to speed up thawing process dramatically. Tray does not need either electricity or batteries. It defrosts frozen goods naturally.